My very first event after a few months of hiatus from blogging and attending events is the Phil-Cosmetics Expo and Erzullie VIP Shopping Party last Saturday. It was truly a night to remember because I was with my blogger friends that night, and oh how I miss them so much. Too bad we weren't complete; but at least I got to see some of 'em. 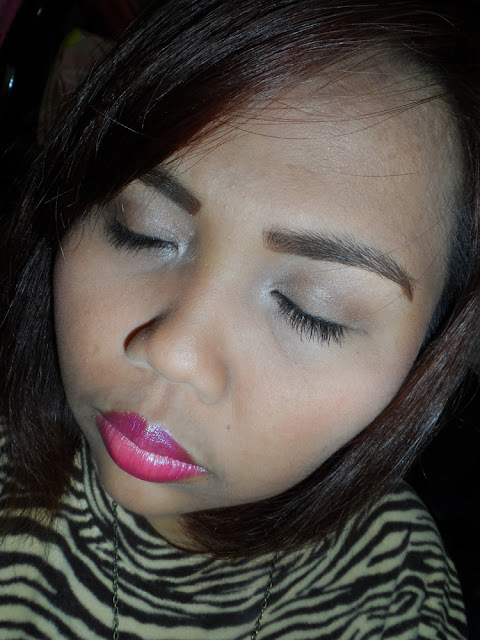 Anyway, this post is about my makeup look on that night; hence, I never bothered reinventing a creative title and just named this FOTD - Night Out. Starting from a clean face, I used the Jane Nearly Foundation Tinted Moisturizer with SPF 30 in Fair as both my moisturizer and foundation. It gives a clean and sheer effect on my face and I kind of love it like that these past few days. I actually just put the product at the back of my hand and used my fingers to spread them evenly all over my face. Afterwards, I used the Nichido Final Powder in So Natural to set my tinted moisturizer and give it a matte finish. 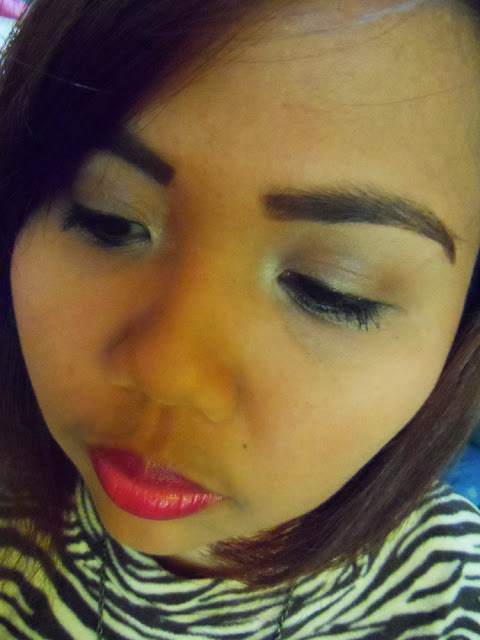 For my eyes, I first filled in my brows using my Ever Bilena Color Pencil in Brown and then, I used the ELF Wet Gloss Lash and Brow Clear Mascara to tame my stubborn brows. For the eye color, I used the lighter brown shade from my Rimmel Colour Rush Trio Eyeshadow in Orion all over my lids, the darker shade on my crease and the white on my brow bone and the inner corners of my eyes. Then, I used the Allue Eyeliner Colour Session in Beatin' Black on my waterline and on my upper and lower lashline. Can you see, they're quite a bit glittery. After all that, I curled my lashes and used the Maybelline Long Extreme Stiletto Mascara for that lengthening effect. 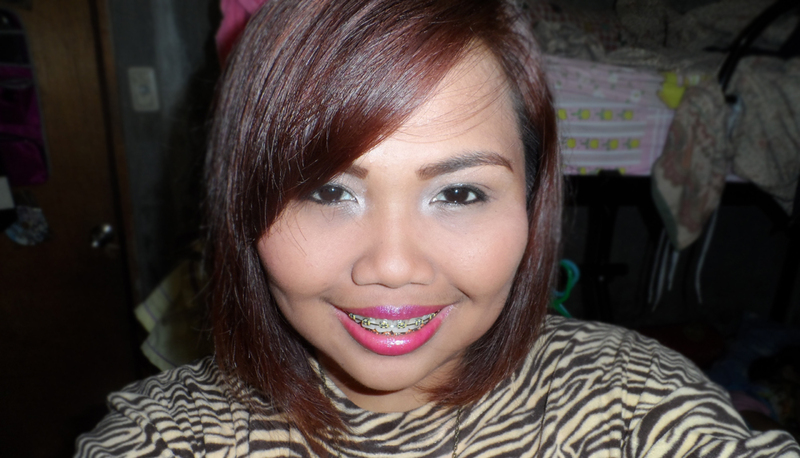 Then, I used my Ever Bilena Cheek Blush in Cheek and applied on my cheek bone while smiling with my very visible cheek bones. For the lips, I used the Nanny Rose Queen Bee Lemonest Lemony and then topped it with the Wet N Wild Silk Finish Lipstick in Fuchsia with Blue Pearl for that fierce effect. In this makeup look, I focused more on the fierceness of the lip color and less on the eyes. I just did some major highlighting on my eyes using a white eyeshadow and that's it! What do you think? Will you consider doing this makeup look for a night out with your girlfriends?